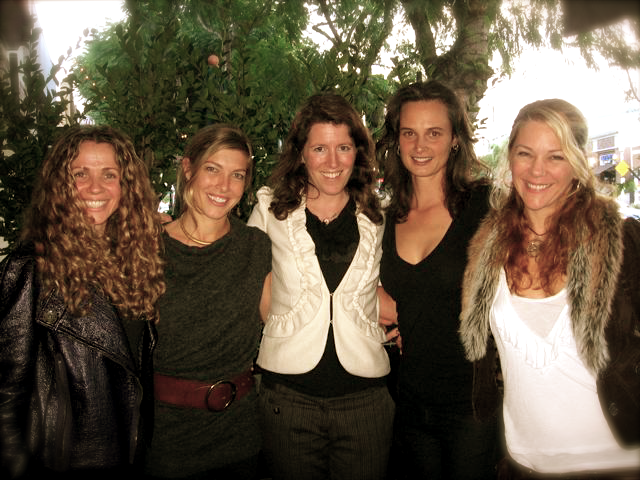 The photo above features Seane Corn (Off the Mat and Into the World), Melinda Kramer (WEA), Amira Diamond (WEA), Julia Butterfly Hill, and Suzanne Sterling (Off the Mat). On October 20th, the international non-profit organization Women’s Earth Alliance convened a gathering in Culver City, CA – bringing together incredible artists, activists, and business leaders at the sustainably designed and run Akasha Restaurant, to share their inspiring model of organizing and partnership. I was honored to speak about why I am so involved in this organization and its way of being and working in the world. We all know we live in a world full of problems. But one of the biggest problems is that not enough of us know that we also live in a world full of solutions. And on top of that, too many people on the front lines of the problems do not have access to the myriad solutions that are available and manifesting every day. Many years ago, I sat on a living room floor and had a visioning conversation about an emerging model of organizing around women and the environment. Looking at the old paradigm of top-down models and support mechanisms that often perpetuate the legacies of colonialism, imperialism, and inequity, we heard the call for a model of partnership based in the belief that those who have “less” are in no way “less than.” And that seemingly unlikely allies often hold critical keys to solving the problems our Planetary Family faces. There has been a lot of investment around the intersection of the environment and… well, just about everything at this point. With countless groups and individuals directing massive amounts of well-intentioned capital towards communities that are marginalized, oppressed and plundered, why is our world not further along the track of health, justice, peace, and thrivability? It is apparent that even with the best of intentions, lasting change does not happen on the surface level, nor does it happen with the best and biggest of visions brought into communities from the outside and labeled as the “right” vision. Real and lasting change happens from the ground up and the inside out. The real strength of a pyramid is at its base, its foundation. It is one thing to have a grand vision, and it is another thing altogether to manifest that vision into reality in our very complex world. And although I don’t claim to hold all the answers, I do know that working from the ground up and the inside out is vital, and it takes time. Time equates to resources, and funders often do not know how to make relationships and trust-building fit into graphs and pie-charts. What results is that the crucial task of relationship building in support of a just, sustainable world often falls through the cracks of the fundraising methodology and process. However, a new wisdom is re-emerging, one that is actually ancient. To solve the global crisis, which we ourselves have created through our disconnection from the Earth and one another, we must restore our relationships, build trust amongst one another, and create spaces for everyone’s gifts to come forth. After living in that incredible tree for over two years, I was able to come down with a successfully-negotiated agreement to protect the tree and the grove around it. If it had just been me in that tree, I would never have survived, let alone succeeded in the goals. It was the building of relationships that co-created that success. Women stand on the front lines of the biggest environmental crises facing our species today – including the lack of access to clean, safe drinking water; the industrialization and poisoning of agriculture; and the exploitation of land for cheap, dirty energy. When we build a bridge between solutions and resources to the women who are managing resources and stewarding future generations in our world’s most imperiled regions, we change the course not only of a community, but of the world. When a woman has access to the resources she needs for self-determination, health, and thrivability, what we see time and again is that everyone and everything around her benefits. Flashing back to that living-room floor. Our conversation was the launching pad for what is now Women’s Earth Alliance, an international organization co-creating innovative solutions to issues of water, food and energy through collaborative initiatives that train, connect, and empower emerging women leaders. I am honored to be a founding and ongoing advisor and donor to and with this organization, the women who staff it, and the women who are served, uplifted, and empowered through this model. Through these women, entire communities are transforming – and when a community is transformed, so too is our world transformed. This way of doing the “work” is not only essential and vital, but also, brings an aliveness to the conversation, thoughts, process, and experience as well. Knowing where this organization started and how far it has come since its inception, I am so proud and grateful to be a supporter and a partner in this work. It is such a gift—to the women of WEA, to the world, to future generations, and to me. I invite you to check out their website www.womensearthalliance.org to find out more information, to be inspired, and to see if there is a way you might weave yourself into this work. Where do you get your power? Does it emerge from the ground beneath your feet? Do you look to the sky or to the waters for it? Does it coalesce within your community? As power flows towards you, does it render others’ lives bleak while it brightens yours? Will your great grandchildren’s great grandchildren be fortunate enough to derive their power from the same places as you do? These are the questions that our team of delegates -- women leaders from across the environmental and green energy advocacy spectrum -- investigated during our Fall 2010 Advocacy Delegation, Promoting Energy Justice on the Navajo Nation. During our five-day journey from Flagstaff, Arizona to Shiprock, New Mexico, our team met front-line leaders of the Dine’ movement for a just transition from fossil fuels to sustainability. These courageous women and men generously shared their stories, struggles and strategies with us, together describing a shared vision for an end to the U.S.’ reliance on dirty power derived from indigenous lands, and a turning towards the abundant solar, wind and non-polluting energy potential of tribal lands. Our Dine’ colleagues and hosts spoke to us of the potential for healing and transformation inherent in this power shift. They modeled the efficacy of coordinated grassroots action to bring that vision to life. And they named the importance of broad-based coalitions to support the vision for ecological and economic justice for indigenous peoples. How do we unplug from these injustices and desecrations, when so many of us unwittingly or unavoidably rely on fossil fuels to power our modern lifestyles? Bound, as so many of us currently are, to cheap electricity and an economic system that ceaselessly plunders and contaminates the most sacred places of the original peoples of this land, how do we engender the transformation so critically needed at this time in history? As allies to indigenous leaders working for environmental justice, it is incumbent upon us to ask hard questions of ourselves and of our communities: who and what suffers so that we can turn on the lights, and what will it take to find another way? Discovering the destruction is remarkably easy: anyone can follow the path of the gargantuan transmission lines crossing the Southwestern desert back to the coal mines, the power plants, the contaminated water tables, the birth defects and cancer clusters. But finding a new way is a more complex task that will require everyone’s participation. For some of us, it means employing our expertise at the federal level, demanding increasingly stringent air- and water-quality regulations, the overhaul of corrupt agencies, and the overturning of ill-advised permits to power plants and mineral extraction operations. For others, it means organizing around state and local ballot propositions, working to build legislative bridges between economic development and environmental sustainability. For yet others, it means jumping into the trenches of business development, supporting the strategic planning, capitalization and implementation of far-seeing projects like utility-scale solar installations on reclaimed mine land on tribal reservations. And for all of us, it means becoming ever more aware of the effect of each of our actions – even the most minute, like flipping a light-switch – has on the web of life. Our dedicated Advocacy Delegation team learned that we have all the power we need – the power to say no to destruction, the power to say yes to an equitable, healthy future for all of us, and the power to act in alliance with the deeply-rooted vision for sustainability held by indigenous women and men throughout North America. Across these long empty roads, amidst red mesa plateaus and small desert towns, I hold my camera in hand as my mind's fingers trace the edges of horizons lined with rock formations that seem to have been intentionally carved out by Nature's hands. Every now and then I spot rural properties with traditional tepees and hogans (sacred, traditional Navajo homes) built alongside old, run-down houses, reminding me of the spiritual preservation that still exists despite modernization's detrimental influences. From behind the lens of a camera, I was blessed to experience the Navajo Nation. Through the eyes of my creative spirit, always seeking to capture the beauty within each moment, I was able to witness the perfection within in every person and place. The landscape of the Navajo Reservation is epically beautiful, and the Dine' people are such a reflection of that same raw, red, simple, yet potently powerful beauty that shines through with resilience… A particular type of resilience that can only shine forth when a people have risen up within the face of opposition. because, unfortunately, the judicial system of the United States of America still does not recognize indigenous tribes of North American Reservations as being legally competent to make their own decisions regarding their properties, denying their sovereignty and human rights. 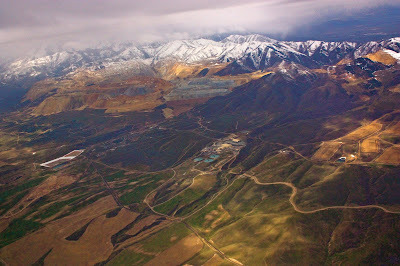 Though millions throughout the Western United States receive their energy via these mines and the corporations reap billions of dollars in revenue, the Dine' have not received meaningful compensation for the use of their land, nor for the rising number of terminal illness due to the toxic impact upon their resources, and a large percentage of the population still do not have electricity - exporting 1200% more energy than they use. The Navajo Nation continues to work toward removing these dirty energy corporations from their land, but are faced with a number of challenges that have required a well, thought-out strategy. With a complex tribal judicial system, and an unemployment rate that is over 40% higher than the U.S. national unemployment rate during the Great Depression, the fact that a large percentage of mining employees are Dine' has played a part within the establishment of the "Just Transition Campaign" - "an innovative, proactive plan to transition tribal economy, employment, and energy off fossil fuel extraction and onto a sustainable renewable energy path." From solar and wind installation, manufacturing, and maintenance, to clean water and land policies, to renewable energy training to help transition Dine' coal miners and upcoming youth into the new green economy, it is the incorporation of indigenous philosophies and traditions that round out a powerful, infrastructural foundation that is bound to uplift indigenous peoples to the forefront of the "green" movement. And who better to take the torch and help lead the way, than those with a deep, inherent understanding of the earth and nature's life cycles. Because within the ambitiousness of such an inevitable transition happening worldwide, I am left to ponder our evolutionary ability to take the leap with graciousness and true integrity to the term "sustainability". We, as a human race, have fallen into a deep dependency, not only upon fossil fuels, but upon a consumerist mentality in general that is deeply disconnected to the wholeness of life's cycles. What will it really take to fulfill this transition integrally, without fallinginto the same pattern of feeding our luxuries at the expense of sacred resources or the wellbeing of other cultures? Wahleah Johns of Black Mesa Water Coalition addressed this concern well, mentioning a conversation she had with author and environmentalist, Paul Hawken, regarding the study of the life cycle of a leaf in association to creating an innovative design of solar panel that maintains an integrity and sensitivity to nature. It is very typical, to install a wind farm or solar project without regard to the impacts along the way, i.e. : toxically made solar panels that require the continuance of mining for metals to manufacture them, while exposing the manufacturers to cancer causing agents, requiring large amounts of water from endangered, pristine aquifers to keep them clean. This is a perfect example of how easy it can be to jump on the bandwagon to the "next new thing" yet once again, without realizing the impact that good intentions may cause. There is a deep-seated pattern that resides within both the dirty energy enterprises and rising "green" businesses. Wahleah spoke of this understanding, and how this is part of the reason why the Dine' are looking into green economy business ventures toward becoming manufacturers themselves, so that they can integrate this traditional knowledge that follows the cycles and well-being of everyone and everything involved along the way. Through the use of recycled metals/materials, sustainable technologies of water harvesting, and the implementation of protective policies surrounding water, land, food, and communities, these are just some of the crucial elements that can bring us closer to an innovative way to forward with our technological evolution, while staying rooted within an ancient wisdom that has been the foundation of our indigenous brothers and sisters for thousands of years. It is inevitable that modern thought and technology are bound to advance, but it is not an advancement if we do not truly consider the impact that our actions may have upon the land, our fellow communities, the youth and the next 7 generations yet to come. 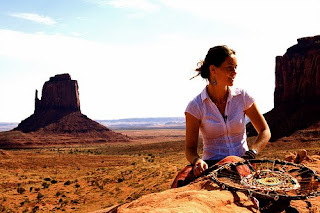 I am choosing to listen to and support these Navajo organizations that are leading the way toward a deeper green movement -- one that doesn't merely replace all of our goods with new ones, but a movement that is geared toward shifting our mental capacity to be more aware of the web of life, with a deeper understanding of sustainability. Within the topics of innovative solutions and renewable energy technologies, may this understanding be at the forefront of every discussion, for it is through the persistence of educating and reminding each other of this piece, that we are bound to a make the mental shift, and integrate this way of thinking into everything we do. Aho. In this magnificent southwest desert, a person cannot help but notice rocks and boulders. Peculiar stone outcroppings and plateaus highlight the striking landscape. There is also a mysterious sense that stories are written in the layered strata of the ancient mountains. As we drive from Shiprock, New Mexico back to Flagstaff, Arizona, I find myself trying to decipher the unknown language marked in the rocky massifs. We are four days in on our southwest journey with WEA’s Advocacy Delegation: Promoting Energy Justice on the Navajo Nation. Our delegation has come to learn about the cultural history and environmental justice movements of this region from its vibrant and resilient people, the Diné (Navajo). As we meet with Diné leaders, we discuss at length and try to comprehend the complex and contrasting layers of politics, cultural wisdom, history, land disputes, sustainable practices, spiritual traditions, and unresolved societal wounds that are all part and particle of these communities. They are as deep and old as the colorful strata. The Diné have names for the special stones that mark the landscape, which indicate the significant role these sacred sites have in Navajo mythology and tradition. The town of Shiprock in northwest New Mexico is named after a large stone formation that rises up from the high desert plains. We learn that the Diné word for this outcropping is actually, Tsé Bit’aʼí, “rock with wings.” Upon hearing this, it occurs to me that there is a powerful and startling vision rising up from Indian country right now that is ready to fly on these ancient, strong wings. At this time of terrific environmental peril, it seems the very point of origin for the promise and possibility of envisioning a clean and just energy economy, and a healthy land ethic for Americans, may well reside on the Navajo Nation—here where some of the greatest environmental injustices in the country have been perpetrated. And in stark contrast, within the same communities where the spiritual and cultural traditions of the people are profoundly connected to the Earth in respectful, harmonious and sophisticated ways. When you listen to the stories of the people on these indigenous lands—stories of immense hardship and heartbreak, yet so much beauty and determination—you know that this is where energy justice in the U.S. must begin. The historical targeting of indigenous lands and communities for destructive industrial projects like coal-fired power plants, mines, and hazardous waste facilities is an ongoing and dirty secret of life in America. This detrimental practice was furthered during the oil crisis in the 1970’s when corporations were searching for more fuel sources. Most Native American lands were designated as “National Sacrifice Areas” by the federal government, which tragically opened the door to big energy companies. On Saturday of our Delegation, we met with Wahleah Johns, co-founder of the Black Mesa Water Coalition. Wahleah is a legend out here as a successful ten-year plus veteran of the struggles on the Navajo Nation. She is also very active in climate and environmental justice networks. 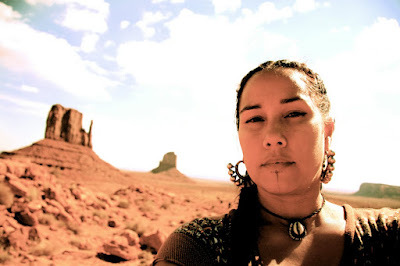 Wahleah is from the community of Forest Lake on the Navajo Nation, which is located near the Peabody Western Coal Company’s Black Mesa mining operations. Wahleah knows first hand about the devastating effects of coal mining, relocation, groundwater depletion and land exploitation. She is also a woman of great vision. Wahleah deftly and lovingly attends to her beautiful young daughter and baby girl while managing to cook dinner for them and talk to our delegation about her recent project. Wahleah and her group are now deeply involved in a research and planning phase, which includes creating an LLC so that the community can take ownership of the project. She tells us, this is a “poetic” project, taking what has been made toxic and turning it into something of value. Imagine transforming a carved-up mountainside, draped in toxic waste, into a solar farm that cares first for the local community and then feeds customers with clean, renewable energy. Of course, the process of transitioning from a fossil fuel based economy to a clean energy economy is complicated here on the Navajo Nation, but so it is across the country. Yet, with Diné women leaders in the forefront, grassroots groups in the southwest are gaining ground day-by-day toward a sustainable economic future. While surely a mountain of work and obstacles lie ahead, maybe this is the very moment we will see energy production and water management given back to the rightful keepers of these lands and resources. Maybe this could be the very action that awakens the country to the need for energy justice, and also gives people the courage to face the looming energy, water and climate crises. It could very well be that the Diné will lead the way through their model of restoring abandoned mine lands, transition to clean energy, care for local communities, and a deep understanding that is time for everyone to respect the beauty, mystery, and natural laws of our Mother Planet. My sense is that something quite extraordinary is happening here on the Navajo Nation—one of the most precious, yet often forgotten, communities in America. Before nightfall, I take one last look at the reddish-gold rock formations that surround us. Faces of the ancestors seem to emerge from the weathered stone, ancient faces that look to us to take responsibility at this time of great peril and possibility. There are obvious, striking similarities between the issues being faced on the Navajo Nation and the community struggles IAP supports in Asia and Latin America for development justice. IAP aims to increasingly facilitate exchange between our Global South colleagues and grassroots counterparts in other regions who are doing groundbreaking work to develop "just transitions" to clean energy and green-economy-building. The sunset today found the seven of us perched on some low, weather-worn bleachers, watching the first dance at the Navajo Fair of Shiprock, New Mexico. Our neighbors were a group of young men, sitting in a circle of chairs beside us, several wearing backwards baseball hats, most with t-shirts of punk bands or sports teams, and a few with various piercings. As the dance concluded, our group wanted to stay for more, but we knew a long ride back to our hotel in Kayenta was ahead of us. We started to gather up our things. The announcer’s voice over the megaphones declared that there would be a break in the dancing, because the entry-road to the fair parking lot was all backed up, and several dancers had called him to say they were stuck in traffic, and to please wait. The announcer added that, in the interim, singers were welcome to starting warming up. As I stepped down off the bleachers, in the same instant that my foot touched the dusty earth, the circle of young men who had been sitting beside us suddenly burst into startling cries of soul-stirring, profoundly beautiful traditional song. I felt frozen in place. I closed my eyes. Their unified voices rose and fell, their drumbeats thundering. Waves of goosebumps washed over my skin. What was so powerful about that burst of song in that moment was not only its fierce beauty: As I opened my eyes to take in the singers, the power was also in the fusion of these ancient-sounding song-cries, emitting from these young men whose style was totally hip, artful and cutting-edge. That seems to be an emerging lesson of this trip: There is a unique and disarming power when people bring together an ability to navigate new ways forward in our complex modern world, with a courageous expression of time-honored beliefs and ways of being. As Marnie shared with us about their programs, she effortlessly jumped from topics as diverse as the latest climate change modeling and projections for rainfall and temperature in the Southwest, to the behavioral ecology of ants, to the hydraulics of groundwater flow in the uranium-contaminated water tables of the Navajo Nation, to new technologies for using native vegetation as remediation and filtration systems for polluted water. Until that point, Rita White, a young woman who serves as assistant coordinator to the Institute, had been quiet. Marnie asked her to say a few words about the work and research she was involved in. Rita spoke softly as she reported on her research with plant-based remediation projects, her role in single-handedly founding and securing official status and funding for the first Environmental Club of Diné College (via a competitive federal grant process). Under RITA’s leadership, the Club immediately set up recycling at the college via placing bins and signs in all the buildings (the contents of which Rita drives herself to the off-reservation recycling center in Farmington, New Mexico). She shared about her participation in a conference on traditional ecology in New York, attended by leading environmental scientists as well as native elders and activists from the U.S., Canada and Latin America. She said how moving it had been for her to see “how much all these people with PhDs” were learning from Mayan and Mohawk and Navajo participants—how surprised they were at the complexity of their indigenous knowledge systems, analysis and management techniques. “You know, being there, it really showed you how, if you’re one with the earth, if you love the earth, then you’re very observant. You see the little changes. I like to sit with the elders, like my grandma, and she points out all these little changes—like the sun is setting differently than it used to, the melons don’t grow as big as they did before, the corn is different. And tornados—that is not supposed to happen within the four sacred mountains. Our people see it; we know the world is changing. The room was silent for a moment after Rita concluded. I was so humbled by Rita’s presence and words. And I was inspired by her bravery. Because I do believe it takes bravery to speak of the spiritual and the sacred and one’s own grandmother and the need to give voice to the many living beings sharing our earth. It takes bravery for anyone to do that. I recognize it takes a unique resolve when one’s spirituality and culture has, over the course of history, been in turn brutally attacked by colonial and U.S. government forces, targeted for erasing and assimilation during most of the 20th century, and then, most recently, fetishized and offensively over-simplified—particularly in the realm of Native American views about the environment. And yet Rita—and so many of the extraordinary people with whom we have been honored to speak on this trip—has boldly done just that. Before we left Diné College, Rita and Marnie’s colleague, Cliff Johns, told us about the in-progress plan for the growing campus to consist entirely of green, LEEDS-certified buildings, to plant native-vegetation and demonstration gardens, to power much of the campus by solar and wind installations, and to use locally-sourced building materials. He also pointed out to us how the bird’s-eye-view layout of the campus is structured “like a traditional home of a wom an—of a grandma.” Like the traditional hogon homes, he explained, each side of the campus—north, east, south, west—was intentionally placed in that direction, with its purpose matching the attributes and spirit of that direction. We saw the same bravery in Tony Skrelunas of Grand Canyon Trust, who explained to us the inner workings of a green energy initiative that constitutes one of the most technologically and economically innovative transformations of a brown-field site in the country—which he helped design. And in the same breath he shared with us about how his upbringing by his grandparents, and learning the songs that must be sung to the corn as it’s planted—has everything to do with what it means to build a green economy on Navajo Nation. We saw the same bravery this afternoon, at a community meeting on uranium-related health impacts and compensation owed by the federal government. In front of a federal congressman—Representative Lujan from New Mexico, who arrived unexpectedly at the Shiprock Chapter House—multiple people stood up to speak about the endless circles of paperwork and bureaucracy and disqualifying restrictions that one most overcome simply to get compensation. Several people added on to the end of their comments the simple statement that a continuation of uranium mining would be a desecration to Mother Earth. Today, and every day on this Advocacy Delegation, I have seen that when a person seamlessly blends technical prowess and expertise, with bold reverence to the sacred and to ancient, intuitive teachings about what it means to live with honor and integrity on the earth—it can be like the unexpected song-cry in the evening air that stopped me in my tracks tonight. That singing coming from those young men blew apart my assumptions and limited understanding about who they were, what they were doing and what they were capable of. We must do the same for what people believe is possible for our planet. This is our fundamental task as advocates at this time on earth: to tell our stories in a way that blends contemporary technology and rock-solid solutions with long-held wisdom, into a combination that blows open the doors of what people are able to acknowledge and imagine as possible. As advocates from many different backgrounds, what does this mean in practice? This does not mean spouting new-age-y rhetoric or appropriating a cultural heritage that is not our own, to the detriment of our movements’ aims and the people in them. It can mean—as Rita said—taking note of what we observe as individuals who are motivated to be at that negotiating table by our love for this earth, and speaking frankly about what we observe—whether that is literally the land around where we grew up, or a community of people we are working with, or in the atmosphere that we are monitoring. It means ensuring that our proposals are fact-checked, water-tight, and far more innovative and effective than the status quo—and that we ground them in a call to action coming directly from who we are as a person/people, and from the deepest knowing we have in us of what we are doing to the earth. Like Cliff, it is our job—in our own way—to put that basket in the center of the negotiating table. Next week, I will be in Washington D.C. for the annual meetings of the World Bank, to join in lobbying efforts to strengthen the social and environmental safeguard policies that the Bank must apply in its lending. The sterile cement-and-marble halls of the Bank are going to feel a long way away from the sagebrush flats and red rock of this corner of the Navajo Nation. But I will keep close to me the model I have been privileged to witness this week, exemplified by so many leading change-makers here on the Navajo Nation: When the moment is right, when the words you must say are clear, and with great humility, let yourself be that voice. The International Accountability Project (IAP) partners with community groups in the Global South to challenge destructive projects receiving international financing—from open-pit coal mines in Bangladesh, to agro-fuel plantations in Brazil. We enable front-line communities to be a leading force in shifting global capital flows toward social and environmental accountability. By following the money on these projects, IAP and our community partners pressure international investors to stop bankrolling destruction, and change the rules of finance to respect local voices, human rights, and our planet's health. Sometimes I find myself talking about sustainable economic development as the "new thing," the idea that will distinguish the future from the past. But sustainable economic development is not new to indigenous communities. As I participate in the Women’s Earth Alliance Sacred Earth Advocacy Delegation to the Navajo Nation in Arizona, New Mexico, and Utah, I am struck by how much we can learn from the Navajo, or Diné, people as they look to the culture and traditions of their grandmothers as a source of renewal and reinvention. As Tony Skrelunas, Native America Program Director at the Grand Canyon Trust, explained to our delegation, the Navajo used to be a migratory people who moved their homes as they herded sheep and grew corn on rotating areas of land. Their culture was rich with traditions, ceremonies, rituals, and practices that taught and preserved an ethic of conservation, honor, integrity, and living in harmony with the earth and each other. 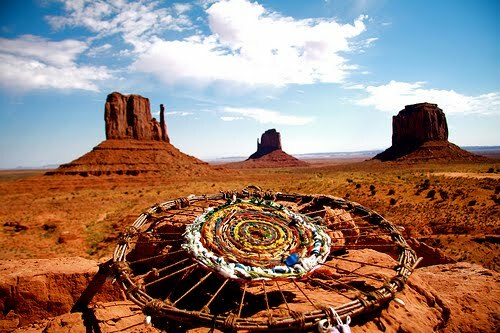 This communal green economy, based on barter and valuing knowledge, brought Navajo society to its pinnacle in the 1940s. Today, grassroots indigenous organizations — including the Black Mesa Water Coalition, Navajo Green Economy Coalition, Multicultural Alliance for a Safe Environment, and Dineh Bidzill Coalition — are calling on the Navajo people to return to those core values. These groups want the Navajo to assert their sovereign rights over and determine the best uses of their rich stores of natural resources, including their water and land; to generate energy from renewable sources; and to protect their people and sacred places from the harm caused by extractive industries, including coal and uranium mining and coal-fired and nuclear power plants. Coal-fired generating stations, for example, are depleting precious aquifers and producing mercury, nitrogen, and carbon dioxide pollution while producing electricity for Los Angeles, Las Vegas, Phoenix, and Tucson. If native communities can access and use sufficient land and water, organizations such as Indigenous Community Enterprises (ICE) are poised to drive green economic development initiatives that sustain and provide business ownership for indigenous families and communities based on traditional agriculture, such as corn and sheep. Indigenous organizations — including ICE, the Just Transition Coalition (which includes Black Mesa Water Coalition, Grand Canyon Trust, Indigenous Environmental Network, and Sierra Club), and the Shonto Community Development Corporation — are also already leading the development of cutting-edge technologies. These include green building construction that incorporates solar and wind energy generation and water-harvesting systems in elders’ homes on the Navajo Reservation and a community-owned, large-scale solar energy system that has the potential to create jobs for a network of Navajo installers and be supplied by a local assembly and manufacturing plant. These groups share a vision of driving the growth of an environmentally sustainable economy that is equitable and grounded in Navajo culture. I am inspired by how this vision honors the wisdom of these indigenous leaders’ grandmothers and is showing a way forward that holds so much hope for a more just, healthy, and self-sustaining future for indigenous communities. Green For All is a national organization working to build an inclusive green economy strong enough to lift people out of poverty. We are dedicated to improving the lives of all Americans through a clean energy economy. We work in collaboration with the business, government, labor, and grassroots communities to create and implement programs that increase quality jobs and opportunities in green industry – all while holding the most vulnerable people at the center of our agenda. The refrigerator in my hotel room hums and two lamps illuminate my fully charged MacBook as I type these words on the first evening of WEA’s Fall 2010 Advocacy Delegation, Promoting Energy Justice on the Navajo Nation. A weighty glass jar of clean, blessedly drinkable water sits close at hand… water I filled up in the bathroom sink… sacred water, as all water is. Surrounded by these elements of nature – electricity and water – I am brought face to face with a reality that cannot be ignored: we in the United States are extremely privileged to have the convenience of relatively “cheap” access to these life supporting resources. Today’s discussions amongst our WEA delegates and the directors of Grand Canyon Trust here in Flagstaff, Arizona, dug into the decade old history of how both the Hopi and Navajo (Dine) tribes are involved in long standing, passionate, and dedicated efforts to protect the very elements of life we in modern cities take for such granted. And to transform their economy into one that will not compromise present and future generations’ rights to a clean environment and a just society. My phone just sounded a digital tune and shut itself off, needing to be plugged in for the night, charged up by that handy electrical outlet I could easily dismiss as just a natural service of existence. The dull constriction I feel in my chest at the thought that the electricity in this room is most likely coming from one of the coal fired power plants on the nearby Navajo reservation is a visceral reflection of the pain felt by thousands of native people in this area who have been disenfranchised for too long over the treatment of their homelands. How would I, or any of us feel differently if we knew that our energy came from the flow of the four winds spinning a turbine? Or from the collection of unlimited, celestially sent sunshine? Can you imagine the relief you would feel in your bones to know that your best intentions of living well in this world, of enjoying and communicating with your family and friends, of learning and working, of simply relaxing in your own home were all supported by forms of clean energy generation that respect the earth and honor the beautiful mystery of creation? This is what the people of the Hopi and Navajo nations are striving to bring to their communities. Fundamentally, a green economy goes along with the teachings of their ancestors and how their entire cultures have lived for centuries. In all actuality, through their ancient ceremonial practices, they have a profoundly intimate relationship with the sun and the wind. It is only appropriate that their economy would be based on them. The process of transferring political will, resources, and community focus from a fossil fuel based economy on tribal lands to a green economy is as complex as it sounds. And it’s happening. In 2005, several grassroots as well as national organizations came together as the Just Transition Coalition to steward the transition. Step by step, meeting-by-meeting, grassroots groups are following the path to a sustainable economic future that does not rely on extractive, toxic, and short-sited mining activities. There is still a long way to go and tremendous work to be done to build capacity and alliances. Yet to be honest, I feel a lot of palpable hope. After having first learned about the massively unethical operations of Peabody Coal Mine on the Black Mesa ten years ago when I was a wide eyed college student with a bleeding heart, it feels immensely fortifying to my heart to return to this sacred region of the country and find that in my absence, members of the tribes, many of them bright and motivated youth, have stood up, spoken out, joined forces, and been victorious with many of the issues facing the total health of their communities. As self-determined groups, they have organized and pursued initiatives to both stop destructive activities on their lands as well as work towards alternative mechanisms to meet their basic and economic needs. Native-owned and co-owned businesses, including utility providers, are a key leverage points in reclaiming power and autonomy. When the chief components of maintaining their lives, such as energy production, agriculture, manufacturing, governance, education, and water management, are back in native hands, much greater balance can be kept in all respects. It will be healing for the whole country and the whole world for there to be environmental justice in these communities. In this way, the cultural knowledge and traditions will continue to flourish and be preserved. Deeply rooted ethics of land management, of honoring earth’s cycles, and of engaging the whole community dynamically is what nature intended and what these indigenous tribes naturally tend towards. Our delegation is here to listen and prepare to offer the tools we carry in solidarity with an effort that is truly critical to the well being of all our relations. Please stay tuned for updates from our Advocacy Delegation!